Born in Beirut, George Pehlivanian’s path in music began with piano and violin lessons at the age of three and six respectively. In 1975, he emigrated to Los Angeles with his family and went on to study conducting with Pierre Boulez, Lorin Maazel and Ferdinand Leitner. He spent two summers at the Academia Chigiana in Siena where he was awarded the Diploma di Merito. In 1991 he was awarded the Grand Prize at the Besançon Conducting Competition, the first American to receive the prize. Since then he has conducted many of the world’s leading orchestras, including the London Philharmonic Orchestra, the Philharmonia, Israel Philharmonic, Filarmonica della Scala, Orchestra dell’Accademia di Santa Cecilia, Rotterdam Philharmonic, Orchestre Philharmonique de Radio France, Monte-Carlo Philharmonic, Maggio Musicale Fiorentino, Orchestra Nazionale della RAI Torino, BBC Philharmonic, Bamberger Symphoniker, the Norddeutsche, Hessische and Südwetsdeutsche Runfunk Symphony Orchestras, Orchestre de la Suisse Romande, Teatro Comunale di Bologna, Bournemouth Symphony, Orquesta Nacional de España, Orquesta Radio Television de España, and Royal Scottish National Orchestra among others. In North America he has conducted the Montreal, Baltimore, Houston, Cincinnati, Indianapolis, St. Paul, Vancouver and Toronto symphony orchestras. Elsewhere, he has worked with the Russian National Orchestra, Moscow Philharmonic, Kirov Opera Orchestra, Sydney Symphony, Japan Virtuoso Symphony, Malaysian Philharmonic and Hong Kong Philharmonic Orchestras. 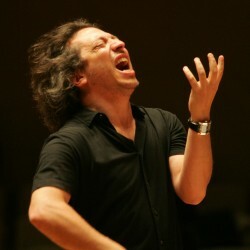 George Pehlivanian has held the post of Principal Guest Conductor of the Teatro Lirico di Cagliari, and prior to this has been Chief Conductor of the Slovenian Philharmonic Orchestra (the first ever foreigner to do so) and continues as Principal Guest Conductor of the Deutsche Staatsphilharmonie Rheinland-Pfalz. He has held Principal Guest Conductor positions with the Residentie Orchestra in The Hague (1996-1999) and the Vienna Chamber Orchestra (1996-2000). 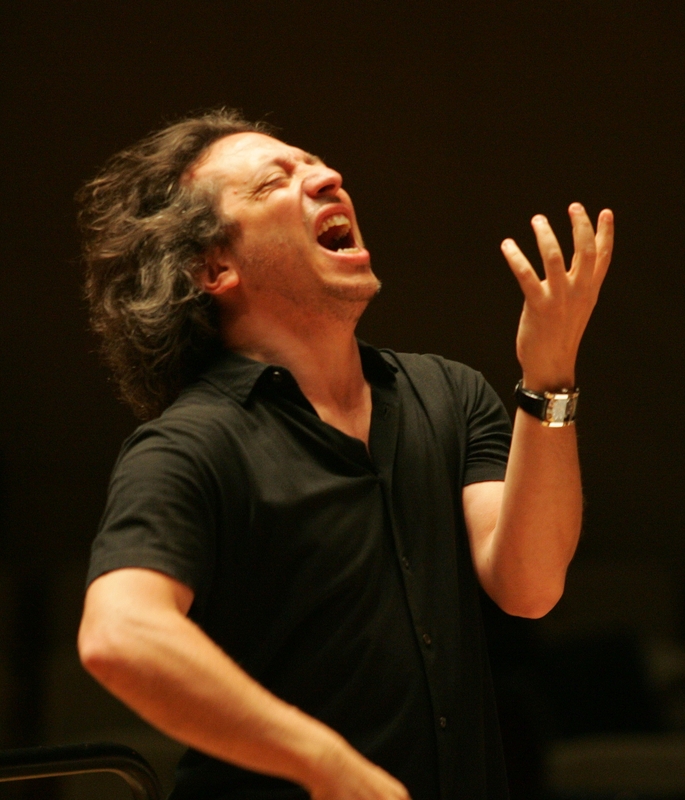 Mr. Pehlivanian is also an experienced opera conductor. Past performances include CARMEN, Long Beach Opera, California, LA TRAVIATA, Kirov Theatre, St. Petersburg, TOSCA, Grand Theatre, Bordeaux, Vaughan Williams’s RIDERS TO THE SEA (Dutch premiere), Rotterdam, LA VOIX HUMAINE and JEANNE D’ARC AU BUCHER, Cite de la Musique, Paris, EVGENY ONEGIN, Teatro Verdi, Trieste, OTELLO and CAVALLERIA RUSTICANA and GIANNI SCHICCHI Teatro San Carlo, Napoli, PIQUE DAME and ANDREA CHENIER at the Teatro Lirico, Cagliari, LE DAMNATION DE FAUST Teatro San Carlo, Napoli and Teatro Regio, Parma, IL BARBIERE DI SIVIGLIA and ERNANI New Israeli Opera, Tel-Aviv and the world premiere of LE JOUR DES MEURTRES by Pierre Thilloy, Metz. Future operatic engagements include JENUFA for the Israeli Opera, Tel-Aviv, and BORIS GODUNOV for Teatro Massimo, Palermo. He has conducted at many important Festivals including the closing concert of the first White Nights Festival in St. Petersburg, Maggio Musicale Fiorentino, Ravenna, Ravello, Aspen, Ljubljana, Jeunesse Musicale Wien and Parma Verdi. In 2007 he closed the Ljubljana Festival with the Israel Philharmonic Orchestra. In 2010 he founded the ‘Touquet International Music Masters’ festival in Le Touquet, France. George Pehlivanian regularly collaborates with prestigious soloists including Maxim Vengerov, Misha Maisky, Leonidas Kavakos, Julian Rachlin, Janine Jansen, Fazil Say, Marjana Lipovsek, Bernarda Fink and Vladimir Galuzin. CHANDOS with the Residentie Orchestra, works by Rodrigo with the Orquesta Nacional de España STUDIO SM, as well as Liszt’s complete works for piano and orchestra with Louis Lortie and the Residentie Orchestra for Chandos, the third instalment of which received special praise by Gramophone Magazine.